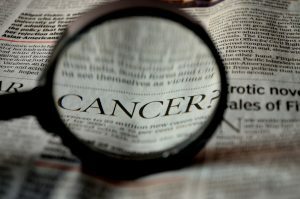 Despite these logical reasons for using textured breast implants, the Food and Drug Administration (FDA) has concluded there is a clear link between textured breast implants and Anaplastic Large Cell Lymphoma. What is Anaplastic Large Cell Lymphoma? Anaplastic Large Cell Lymphoma, or ALCL, is a rare type of non-Hodgkin’s lymphoma, or cancer of the blood. In ALCL, the white blood cells grow uncontrollably and can spread to the lymph nodes and skin, in addition to the breast itself. ALCL is not breast cancer and if found early it can be effectively treated, although it can be fatal if not treated soon enough. One of the common forms of treatment involves removing the breast implant along with the scar tissue capsule surrounding it in a procedure called capsulectomy. About 70% of the time, this is the only treatment needed to be cured of ALCL, although radiation and chemotherapy may also be required. 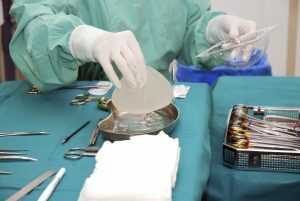 In 2011, the FDA noted a possible connection between textured breast implants and ALCL. However, in March of this year, the FDA officially recognized the link between textured breast implants and ALCL. Of the 231 medical device reports the FDA received where individuals who had ALCL also indicated the type of breast implant they received, 203 of the ALCL patients had textured breast implants while only 28 had smooth surface breast implants. This is a troubling statistic, and more study is needed. Ideally, more data would be available for analysis, but unfortunately, it’s been somewhat sparse. For example, even though there were 231 ALCL medical device reports the FDA received identifying the breast implant type, 128 of the reports made no mention of the breast implant surface type. Currently, there is no comprehensive database of breast implant recipients and ALCL sufferers although efforts are being made to create one. It is critical that we get more information. How Does the Textured Surface Cause ALCL? This is likely the multi-billion dollar question because right now, no one seems to know for sure why textured breast implants result in a much higher rate of ALCL. One reason for this lack of clarity is that multiple companies offer textured breast implants and the implants have different types of texturing and there are different ways of manufacturing the textured surface. However, there is one predominant theory to explain the link between a textured surface and ALCL. This explanation is that ALCL is caused by a bacterial infection in the textured surface that starts an inflammatory response in the body. It has been established that certain types of lymphoma can be caused by chronic infections. Does This Mean I Can Sue if I Have a Textured Breast Implant? We are still early in the process. The FDA recognized the link just a few months ago. But if you suffer from ALCL after getting textured breast implants, it’s important (1) to get medical treatment immediately and (2) to keep detailed records of your pain, your medical care, medical bills, and any other vital information relating to your ALCL. Basically, we wait-and-see. The FDA does not recommend patients have their breast implants removed unless they have symptoms of ALCL or other adverse reactions to the textured breast implants. If you suffer any problems with your textured breast implants, you should see your doctor as soon as you can. I will update this information as I receive more news, so keep checking back with me.